Showbox is your favorite application to stream and download free latest movies and TV Shows. In order to get this application on your MAC OS X, you need to use either Welder or Genymotion for the MAC. These android Emulators running side-loaded with the Showbox application would work on your MAC Devices. If it sounds way too technical to you, keep reading for an easy guide to run Showbox on your Mac devices using an Android emulator. 2. Below is the link for the ARC Welder file; Download it through Google Chrome. 3. The following web page will be opened once you click on the download link. From here, you have to hit on the green option ‘Add to Chrome’. 8. 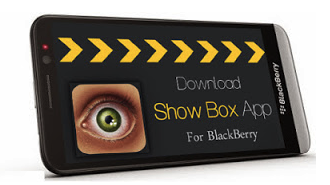 Download the ShowBox .apk file format. 9. In the ARC Welder app, you need to hit ‘Add your APK’ and select the ShowBox .apk file. 10. To quickly check if it’s added on not, click ‘Test’ (Note: On Form Factor, you can enable full screen mode). 11. Once you’re satisfied with the App test, you’re ready to run ShowBox on your MAC Devices using ARC Welder. (If you’re getting any Error: Check if the Internet Connection is working properly or Re-run the App by opening a new tab in Chrome > Apps > Showbox). 12. To launch ShowBox on your Mac in the future, you need to open Chrome > New Tab > Apps > Showbox. 1. Download Genymotion for MAC Devices OS X 64 Bits by following the link mentioned below. You’ll also have to create a free account for it. 2. Once the .dmg file is downloaded, you need to Install Genymotion without adding Genymotion Shell add-on. 3. Along with that, you also need to install Virtual Box. 4. Open GenyMotion and log into Genymotion with the account you created while downloading. 5. Click on ‘Add’ and add a virtual device – any device with 1080×1920 resolution and android version 4.4.4 or later will suffice. 6. Double-click on the device you added to run it. 7. Download The Showbox .apk file on your Virtual device. 8. Drag your downloaded file to the Virtual Device – this will open Showbox after installing it. Once, you’re able to see the screen of Showbox, you’re able to download or stream your favorite movies and TV Shows.